Below you can view all the homes for sale in the Denver Country Club subdivision located in Denver Colorado. Listings in Denver Country Club are updated daily from data we receive from the Denver multiple listing service. To learn more about any of these homes or to receive custom notifications when a new property is listed for sale in Denver Country Club, give us a call at 720-729-2320. This grand residence is perfect for large scale entertaining or intimate family gatherings, with an open center hall floor plan, and walls of expansive windows that seamlessly blend indoor and outdoor spaces. MLS#7159413. LIV Sotheby's International Realty. All Brick Bungalow Ready For Your Own Personal Touch * Or Scrape And Build New * Purchased As A Rental * Good Income Property * As Is * Unique Attached 1 Car Garage That Could Be Added Square Footage Of Separate Entrance For A Lock Off Duplex In The Basement * Lot's Of Possibilities For This Washington Park/Country Club Location * MLS#3717530. HomeSmart Cherry Creek. Complimentary interior design services from the award winning owner included. MLS#8367984. EXIT Realty Cherry Creek. This is a rare opportunity to own a piece of Denver history, don't wait! MLS#6688946. Your Castle Real Estate Inc.
All the modern conveniences including a rare 2 car garage. MLS#6580368. PERRY & CO. Walk to Cherry Creek, Cheesman and Alamo Placita Parks, Whole Foods, Trader Joe’s, and the 6th Avenue shops and restaurants. MLS#5773145. Berkshire Hathaway HomeServices Innovative RE. We know it is Wash Park and everyone is friendly but the sellers would like their privacy :) Thank you for understanding. 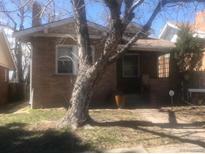 MLS#2855813. Porchlight Real Estate Group. Two underground reserved parking spaces and storage locker included. MLS#2088212. KENTWOOD REAL ESTATE DTC, LLC. Minutes to Wash Park & Cherry Creek shops & restaurants, easy access to downtown & I-25. MLS#7085405. LIV Sotheby's International Realty. In Denver Country Club historic district, approvals are required for exterior expansions or changes. MLS#4715649. Shorewood Real Estate. This unit is move in ready! MLS#5427853. LUX. Denver LLC. Located just blocks away from award-winning dining, shops, and parks! MLS#4943215. LIV Sotheby's International Realty. Enjoy a detached, oversized 2 car garage, with great storage or office/shop potential, and newer tile roof on both the house and garage. MLS#5598099. KENTWOOD REAL ESTATE DTC, LLC. Original wood floors restored throughout. New 2 car garage. MLS#6781598. COLDWELL BANKER RESIDENTIAL 18. Located close to Cherry Creek and in East HS too! MLS#3644222. Kentwood Real Estate – Cherry Creek.. Huge flagstone patio is prominently located with gazebo and water feature. Coveted East High school. MLS#6066586. BASHAM INVESTMENTS.